Will these work out in the long run? When Singapore unveiled the latest experiment in renewable energy, it was a row of solar panels floating in a major reservoir. The world's largest floating solar panel testbed located at Tengeh Reservoir will produce 1 megawatt (MW) of energy, enough to power 250 four-room basic flats for a year. The Singapore floating testbed is the largest globally in terms of how much power it can produce and the number of systems being tested, and, in a way, represents Asia’s unsinkable tenacity to try out promising renewable energy innovations. “Floating photovoltaic systems, those installed over our water bodies, not only help to overcome land constraints, but also have the potential to reduce evaporative losses from our reservoirs,” says Masagos Zulkifli, Singapore’s Environment and Water Resources Minister. Installing solar panels over water can improve their efficiency due to the beneficial cooling effect and subsequent increase in energy yield as opposed to solar panels that become too hot. Should the pilot prove to be economically viable and environmentally sustainable, authorities have signalled their intent to explore a wider deployment of such floating solar photovoltaic systems. The floating photovoltaic testbed also serves as an entry point to bring in a wealth of new renewable energy firms to Singapore. Eight companies are currently involved in the testbed, including large corporations from Japan and Italy. 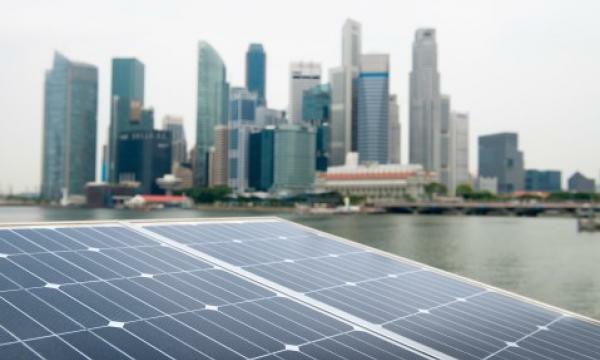 “We want them to establish their business hubs in Singapore after which they will then export the know-how from Singapore — from doing the innovation right in Singapore,” says Goh Chee Kiong, Economic Development Board Executive Director for Cleantech. 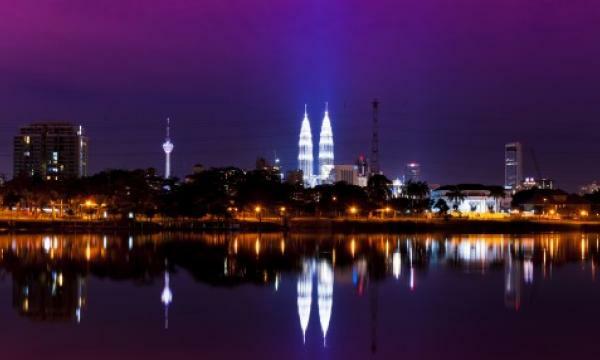 Across Southeast Asia, there are also efforts to improve new floating platforms for wind. Dr. Carlos Wong, chairman at CBJ Ocean Platform Engineering Corp., for example, is making the case for the introduction of a new floating platform that carries multiple wind turbines that will benefit the isolated islands of Southeast Asian countries.